Reece Shearsmith To Guest-Star In Doctor Who Series 9 | Warped Factor - Words in the Key of Geek. 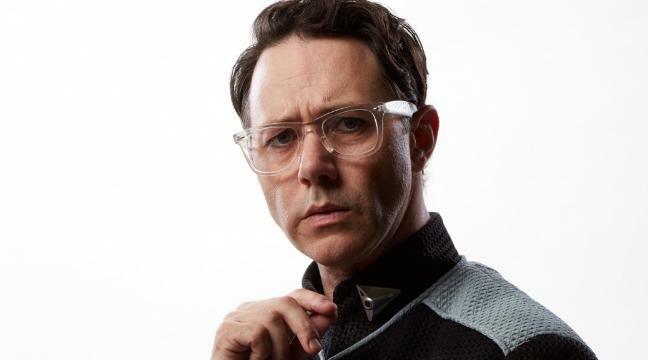 Actor, comedian and award winning writer Reece Shearsmith joins Peter Capaldi (the Doctor) and Jenna Coleman (Clara Oswald) as he takes-up a guest role in a special episode of Doctor Who, returning to BBC One this September. Reece has previously played Patrick Troughton in a docu-drama about the conception and making of Doctor Who, An Adventure In Space And Time, and returns to Cardiff for a part in an adventure written by Mark Gatiss, directed by Justin Molotnikov and produced by Nikki Wilson. Reece will be joined by Elaine Tan (Eastenders, Entourage), Neet Mohan (All In Good Time, Desert Dancer), Bethany Black (Cucumber, Banana) and Paul Courtenay Hyu (Dalziel And Pascoe, Coronation Street). Other guest cast for the new series, launching on Saturday 19 September, include Michelle Gomez, Maisie Williams, Rufus Hound, Ingrid Oliver and Rebecca Front.